Enterprise marketing executives have faced no shortage of challenges in 2016. The world of digital marketing seems to turn on a dime, and today’s executives must be adaptable to succeed. The realm of organic search is no exception – its breadth of influence in marketing has grown dramatically in the past year alone. Organic search affects every aspect of a brand’s digital presence and provides touch points for customers at every stage of the buying cycle. 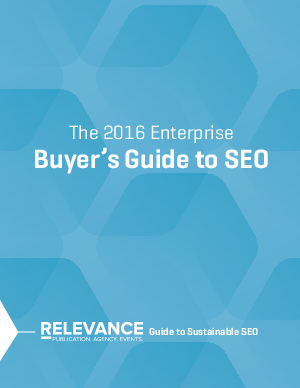 The ante has been upped, and true SEO solutions are more complicated than they used to be. As a result, finding the right SEO partner is now more critical than ever before.